« How a Thoughtful Communications Strategy Can Positively Impact YOUR Job… Really! 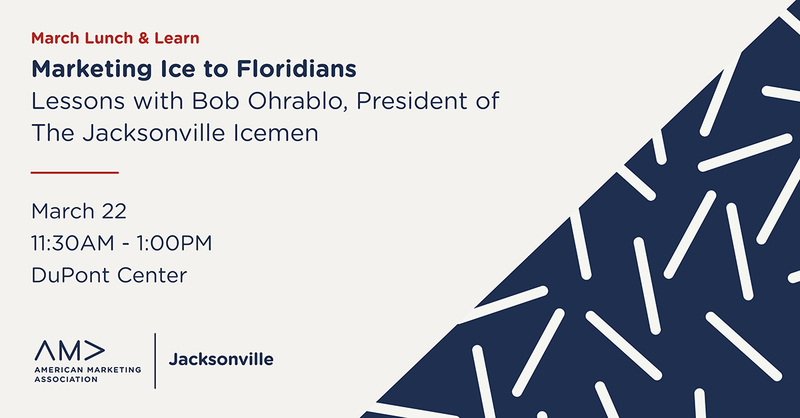 Join us for a fascinating discussion with Bob Ohrablo, President of The Jacksonville Icemen. Last year the city of Jacksonville excitedly welcomed the professional hockey team, The Jacksonville Icemen, to our sports and entertainment landscape. With over 30 years’ experience in the pro sports and entertainment business, team President Bob Ohrablo has managed various aspects of the team’s marketing, sponsorship/ticket sales and community efforts over the past year. Following the presentation will be a live Q&A with Mr. Ohrablo, and he will also be giving away some game tickets and other goodies!